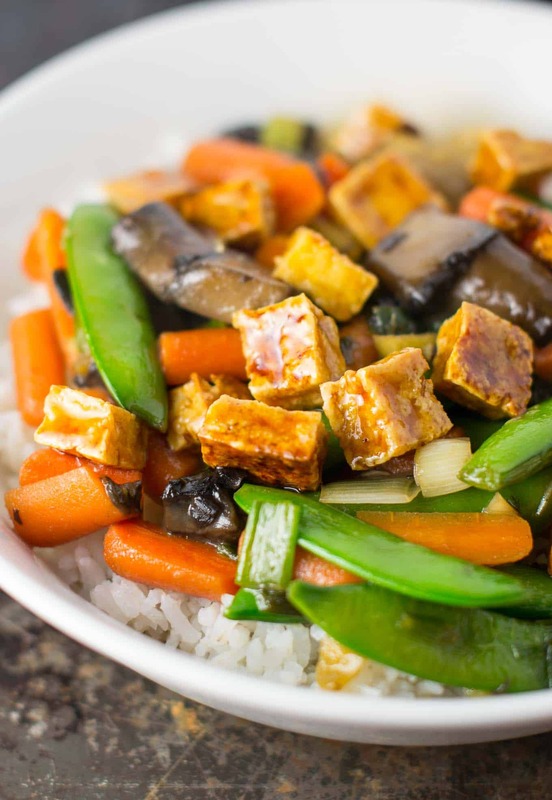 Honey ginger tofu stir fry with fresh vegetables and a sweet salty stir fry sauce. 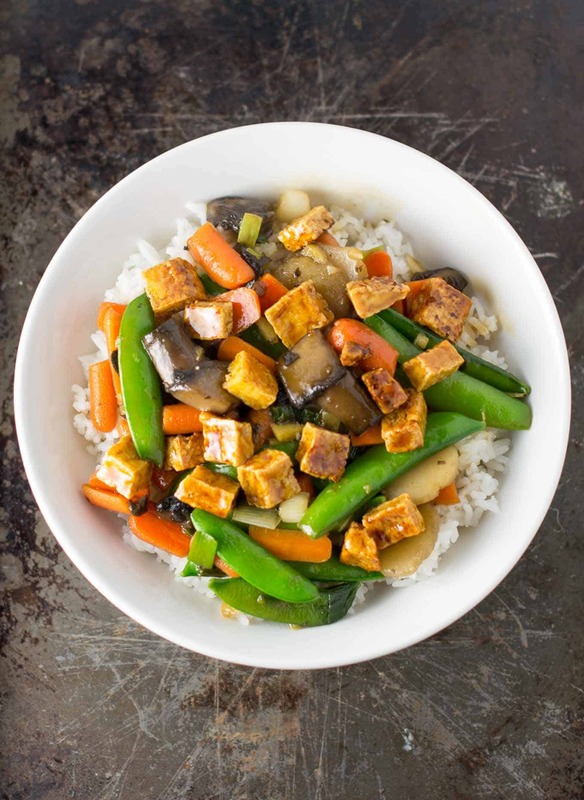 Today’s recipe brings the taste of takeout right to your kitchen with this homemade Honey Ginger Tofu Stir Fry. One of my favorite takeout meals is from a small local Chinese restaurant that my family has been going to for 20 years. 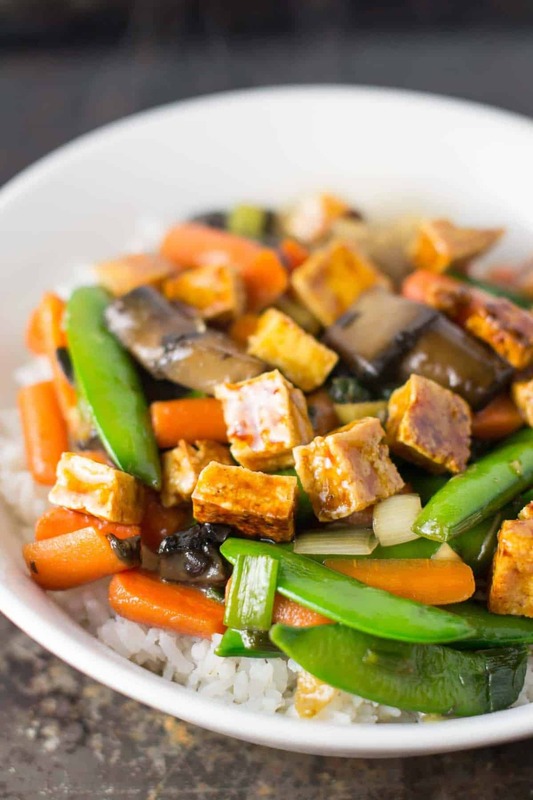 My favorite is the tofu with garlic sauce and veggies. 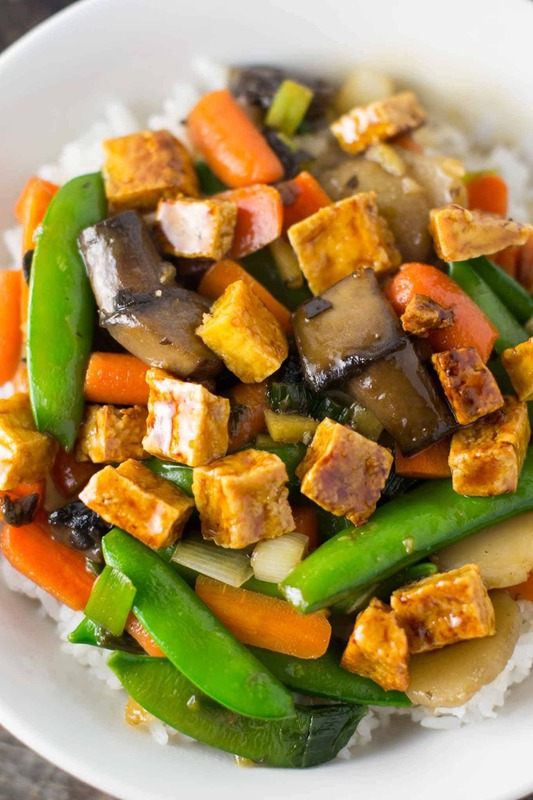 Crispy tofu over steamy rice in a thick sauce. As much as I love this meal, it doesn’t love me. I’m left feeling bloated and tired after eating all of those greasy calories. While I’ve made stir fry at home before, I usually just end up using a store bought sauce. While it tastes pretty good, it has always been missing that wow factor …until this recipe! This time I went ALL OUT. 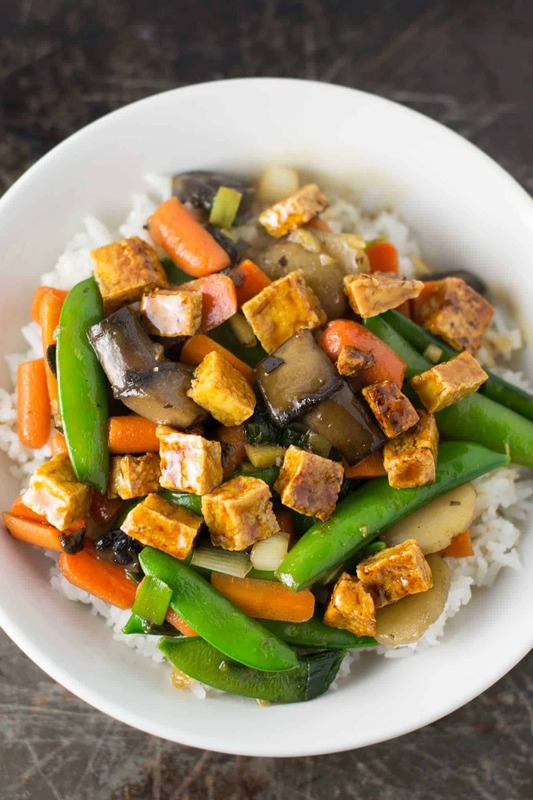 Homemade crisp veggies, crispy tofu, and mounds of fresh ginger and garlic and a homemade sauce are just part of what make this dish phenomenal. The result? Fight over every last bite of tofu, lick the bowl clean, better than takeout deliciousness. This looks delicious! How does it reheat? I was thinking of making this for lunches next week. It would reheat great! I love having this for lunch.